If you’re like us, you’ve got a thing for great vintage design: Classic cars, great vintage audio equipment, and cool vintage electronica. 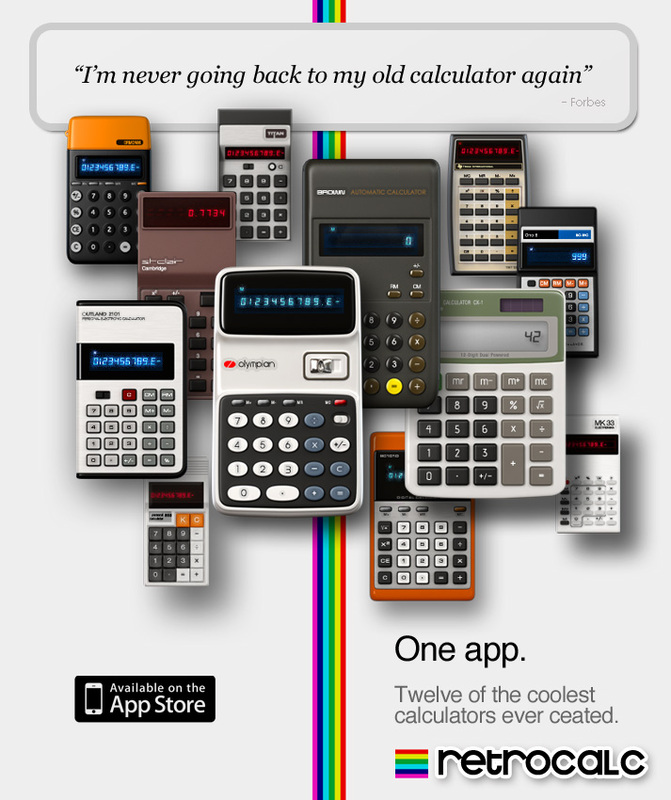 RetroCalc is the calculator app that we want to use. Inspired by some of the most legendary designs of the 1970’s and 80’s - we’ve gone the extra-mile to build an app that we think you’re going to love. 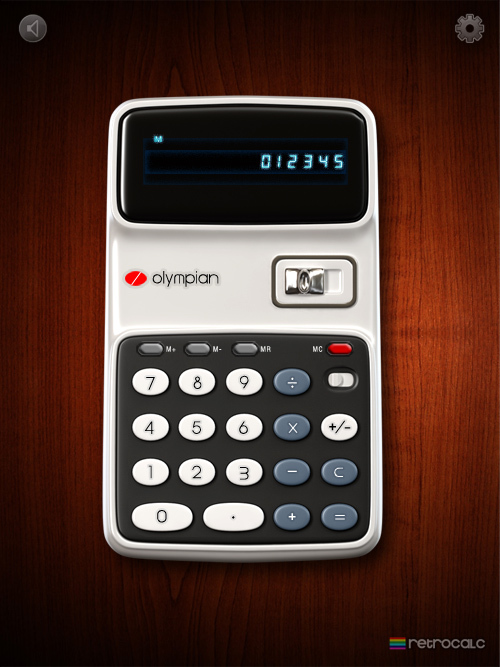 Calculator app featuring 12 true, multi-function calculators! Multi-tasking! Preserves state between sessions! Preserves display and memory data when switching devices! 17-digit scientific notation on all models! 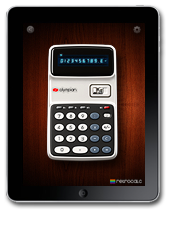 Available now for iPad! Coming soon for iPhone! 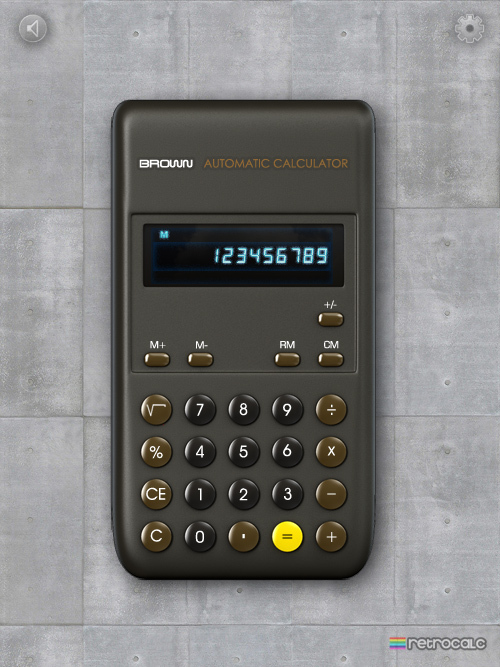 Swap calculator faces and backgrounds! Your choice between dozens of combinations! 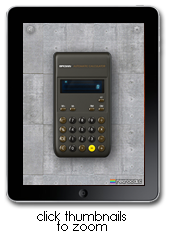 Audio feedback control, and choice of alternate audio soundsets! 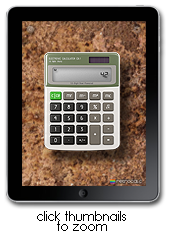 All Calculators digitally re-modeled in high-resolution 3D! Randomize faces and skins on startup! 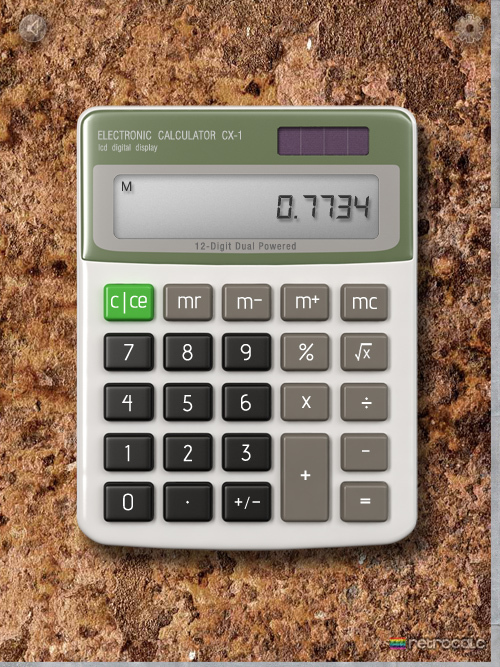 Or pick your favorite calculator/background combination and save it. Supports portrait and landscape orientations. 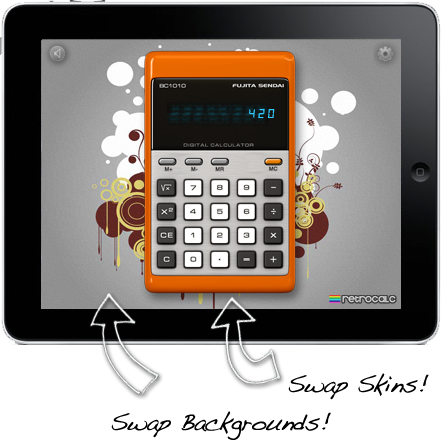 The best calculator app for iPad!